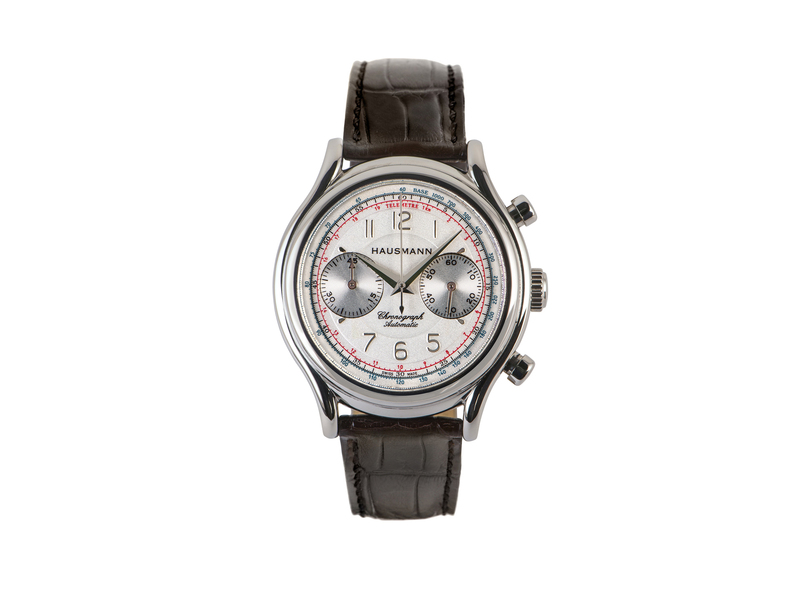 Chronograph by Hausmann & Co. with stainless steel case, 42 mm diameter. Pump pushers in stainless steel. Equipped with a Swiss made chronograph automatic movement. 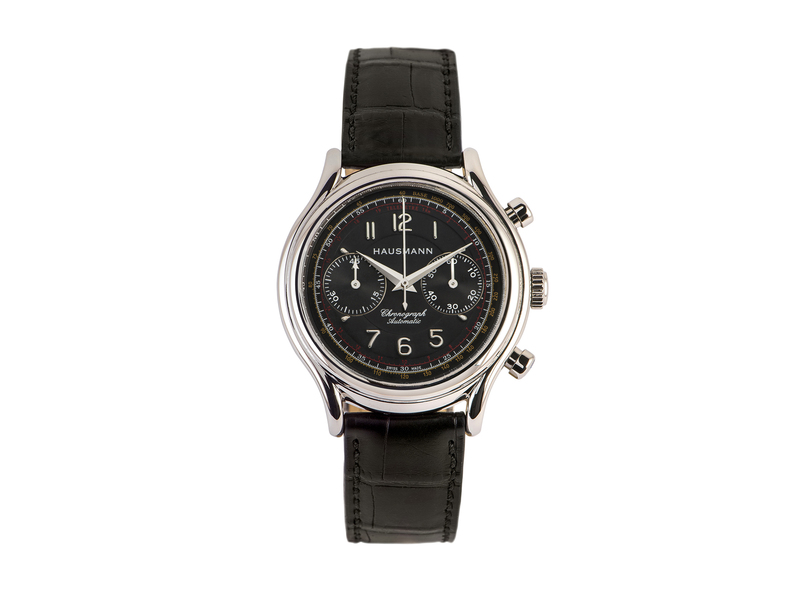 Central chronograph hand, 45-minutes counter at 3 o’ clock, small seconds at 9 o’clock. Hausmann & Co. signed rotor. 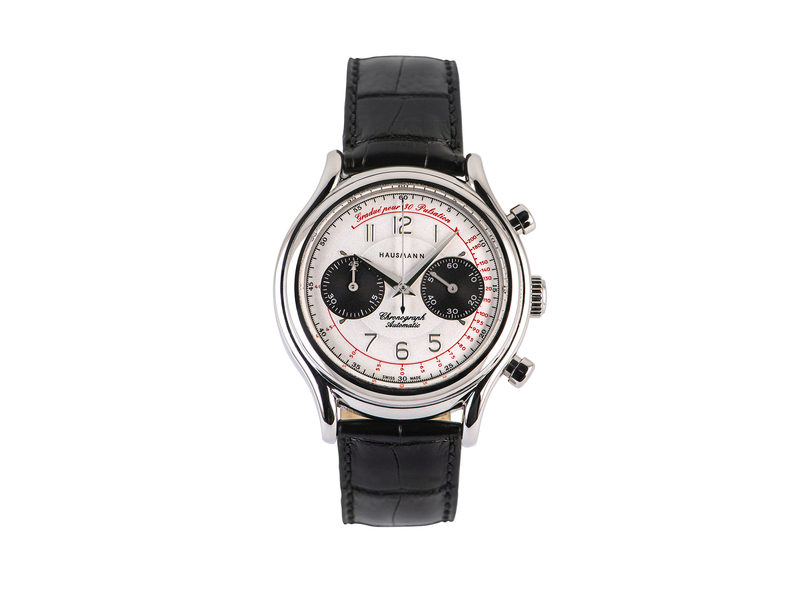 The vintage flavour dial is silver-coloured with two black counters and a red pulsometric scale. Applied numerals. Black alligator leather strap, with pin buckle. Closed back, suitable to personalization with engraving.